Finally, a power meter that doesn't mess up your bike and empty out your wallet. PowerPod BLE/ANT+ power meter wirelessly transmits its power measurements simultaneously in the two most popular formats: ANT+ and can now be upgraded to function with BLE. This means that PowerPod BLE/ANT+ will work with popular bike computers (such as Garmin) and can be equipped to also work with BLE smartphone apps such as Powerhouse®, Wahoo Fitness, and Strava. If you happen to have both an ANT+ bike computer and BLE smartphone on your bike then BOTH DEVICES will receive PowerPod power readings at the same time. PowerPod is the first power meter that attaches to your handlebars--no need to change your crank, wheel, pedals, or bottom bracket. Delivers both-leg accuracy on par with both-leg power meters costing 5 times as much, and accuracy superior to one-leg power meters. 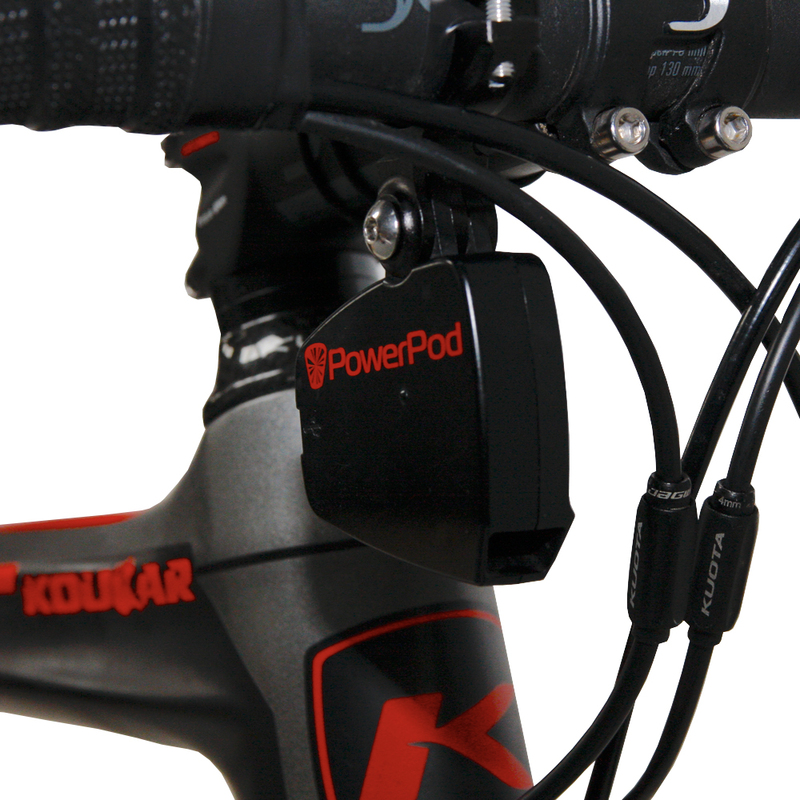 PowerPod is the only power meter that moves effortlessly from bike to bike. It works with any ANT+ bike computer, and is the only power meter that doesn't cost a fortune. 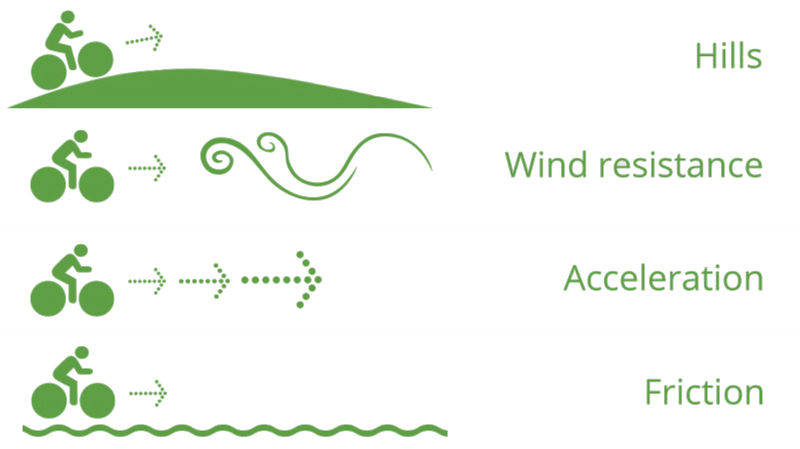 PowerPod measures, up to 800 times per second, the opposing forces caused by hills, wind, acceleration, and friction. Opposing forces, matched identically by the forces applied by both legs, determine the cyclist's power. Your BLE unlock key includes access to the free download PowerHouse Bike App, a pro-level personal coaching system that helps you achieve your fitness, weight loss, lifestyle and performance goals. POWERHOUSE offers six informative and fun workout plans to improve fitness and performance, for both the general fitness market and current cycling enthusiasts. PowerPod BLE users get access to 6 free workouts (the first ride of each plan), a bike computer “Free Ride” and a Fitness Test (FTP) for free. If Power is all you want, PowerPod has all you need when you pull it out of the box. However, if you want it to, PowerPod can be so much more than just a power meter. PowerPod turns every single thing you feel while riding: the wind on your face, the roughness of the road, the incline you are riding up, the surges of acceleration or braking you do while riding, into a rich, full suite of analysis capabilities. For advanced users, PowerPod will help you bring your awareness to a new, bigger picture level – making you a smarter, stronger, more capable cyclist. You don't have to swap-out your wheels, crank, pedals, or bottom bracket, and there's no gluing or water bags either. Click Here to view the Trouble Shooting Guide. Can PowerPod really be so easy to setup and use? See for your self Click here for The Powerpod Manual. 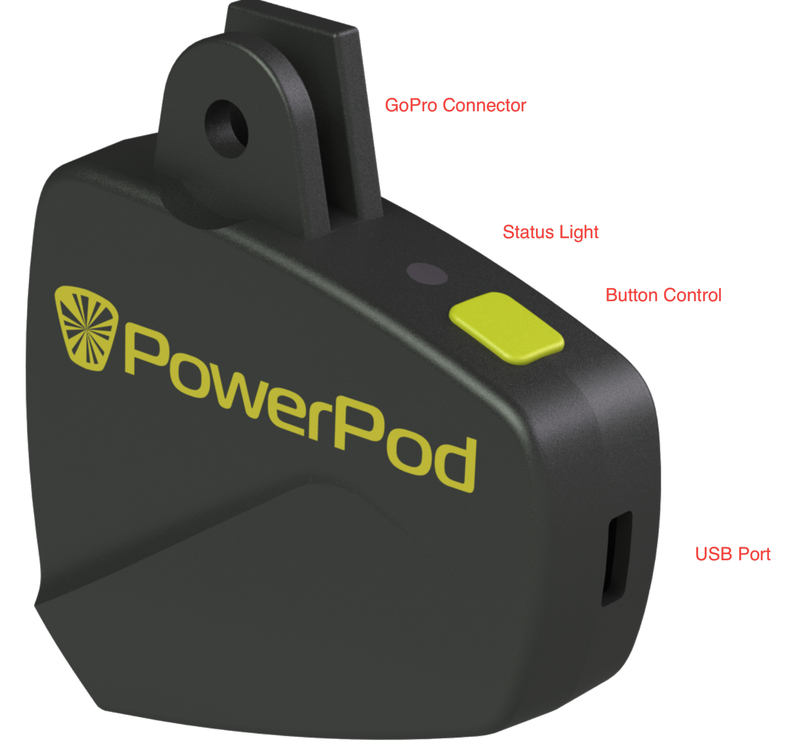 PowerPod wirelessly sends its accurate, both-leg power measurements to your ANT+ bike computer, such as Garmin or Bryton. PowerPod has just one button, and a single LED status light. When you're ready to ride click the button; PowerPod confirms it's ready by the green status light. Green means go! PowerPod includes an internal, rechargeable battery. You'll get about 20 hours of continuous riding, then recharge PowerPod from any USB charger. 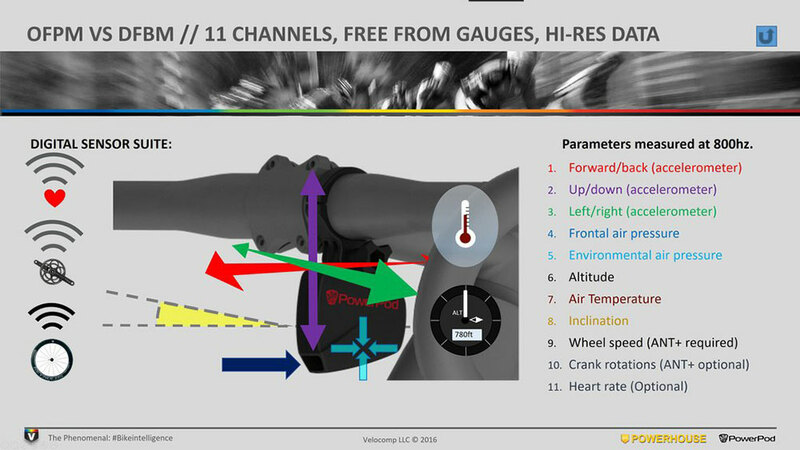 Velocomp power measurement technology has been used by some of the top pro-cycling teams in the world. PowerPod incorporates the same, both-leg measurement sensors and circuitry used in our pro-level Newton+ products. PowerPod accuracy is on-par with power meters costing 5 times as much, and superior to one-leg power meters. After a lot of research I opted for the PowerPod as a left-crank solution would be ineffective given a known power left-right power imbalance, dual-leg crank options were expensive and pedal-based options introduced bearing and cleat dependencies. Portability between bikes was also desirable. I hadn't realised that this is an evolution of an older product called Newton so the tech is well proven. Some effort is required with initial setup and there is a dependency on additional speed and optional cadence sensors for it to work but which can be purchased cheaply. Aside from providing live power readings which feed into Strava analytics etc, the data from the software is insightful and using the optional PowerStroke upgrade I discovered a slight power stutter in my right leg stroke which I am working to smooth out. This is not a slickly marketed or presented product but it is has clearly been developed and supported by knowledgeable enthusiasts and is well worth considering. Arrived in better than expected time. Easy to install, i did purchase a Garmin mount with Go-pro attachment all in one to save clutter on my handle bars. The watts i get back are inline with others I'm riding with different types of power meters. Been looking at power for a long time and they are just too expensive for me. So this looked fairly good and cheap, I researched this quite a bit and it has been tested by other against other power meters and seems to be no more less accurate than others. The setup documentation could be a little better, but its easy to setup once you get the hang of it. It also take around 5miles to calibrate which I did on a local track loop. Note that you need to pair the unit with a speed sensor not supplied. Works well with Garmin Edge 520 and Garmin Connect, Strava and other stuff seems to work as expected. There is software supplied (download) which I never used except for initial setup. This is good for first power meter or if you are on a budget. It was easy to install and it appears to work great with Garmin Edge 1000 and Garmin Edge 1030. I'm now trying to learn how to interpret all the data it captures. I've looked around for a power meter that I could use on different bikes and this fits the bill perfectly. I swap it between three bikes, which takes no time at all to do. The readings seem accurate to me and I'm very happy with it. Set-up was simple enough, I already had a Wahoo speed sensor, but purchased a Garmin as this was recommended on a forum. Bottom line is that I'm very pleased I bought it. Purchase arrived quickly and in good order. Installation information was short and sharp, i.e should have been quick. For me though, it was a challenge to install software and calibrate the Power Pod. It is now working well so a good investment in my training. Excellent product. Very accurate so far and checked vs other power meters for consistency.